For a few weeks now, the Android N Developer Preview has been available for anyone to install on their Nexus devices. With a collection of new features to be previewed, I decided to push the OTA update to my Nexus 6P and use it as my daily driver for a few weeks to see how these improvements affect everyday use. By far the biggest and most useful improvements are the changes to the app switcher. The ability to double tap the recent apps navigation button to switch to the last used app really speeds up multi-tasking, and it was easily the new feature I used most in the Android N Developer Preview. In fact I used the double tap app switch far more often than the new split-screen mode. 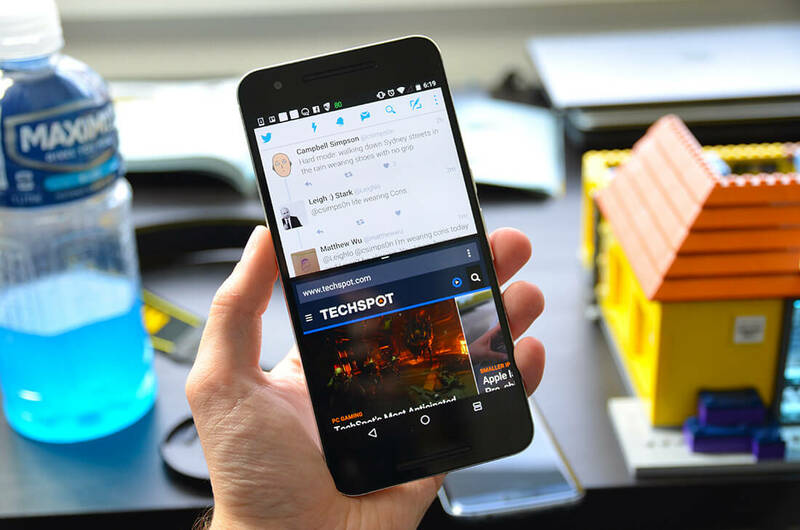 On a tablet this feature could be quite useful, but on a phone, even a 5.7-inch one like the Nexus 6P, there simply isn't enough real estate to properly and effectively use two apps at the same time. Instead, quickly swapping between two apps is far more efficient, which makes the double tap app switch a fantastic, if minor improvement. With that said, the split-screen mode is extremely fast to activate and it worked surprisingly well across a range of applications. 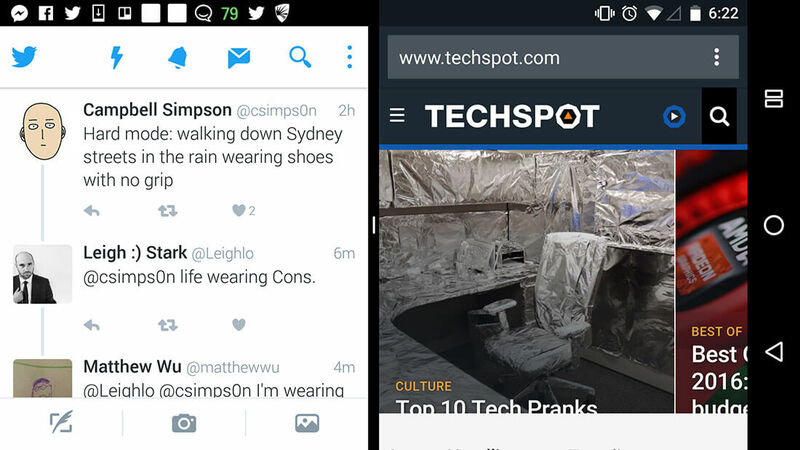 Unlike Samsung's competing feature they've had in TouchWiz for a few generations now, the Android N split-screen mode works with nearly every app, which actually makes it worth using on a device with the right screen size. While the feature does have wide app compatibility and content reflowing worked well in most occasions, some key apps like Instagram didn't work at all, and a handful of others didn't display content correctly or were basically unusable due to hidden menus or buttons. Running two benchmarks simultaneously is certainly an interesting thing to attempt, though. The changes to the notification panel, which see larger notifications and easier access to quick setting toggles, are also welcome. Again, not many applications support the expanded notification features just yet, but I did like the ability to see more email subjects from Gmail in the one hit. Quick replies from app notifications will be very handy once it's implemented in the messaging apps I used most, like Facebook Messenger, though in the short term I didn't end up using it very often. This is one of those new Android features that will require strong developer support before it really gains any traction. 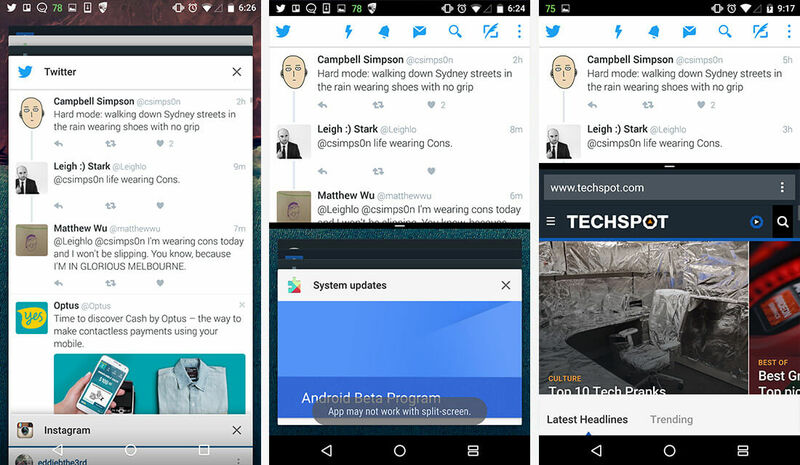 Android N also has a hidden floating window mode for applications that can be enabled through this complex procedure. It looks cool and no doubt it will be most useful on tablets, which is why I didn't bother attempting to enable it on my Nexus 6P. As far as battery life is concerned, I didn't notice any changes to how long my Nexus 6P lasted in daily use, despite improvements to Doze mode. Supposedly the changes to Doze allow it to have an affect while the device's screen is off and it's still moving, like when it's in my pocket, but it qualitiatively seemed to have a neglibile effect over the past week. Performance, on the other hand, was a completely different story. There were numerous times where my powerful Nexus 6P felt slow and laggy, most notably while typing on the keyboard in a variety of apps. Some apps also had a habit of crashing, like Chrome and Twitter, and my handset rebooted itself on more than one occasion. It's early days, so I expect all these issues to be fixed by the time Android N hits the stable release channel, however I wouldn't recommed upgrading early if you need device stability. 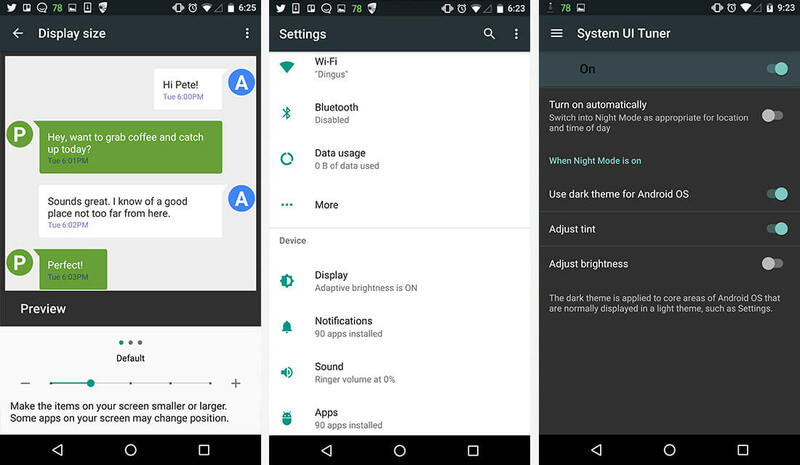 There are a few other minor features to explore around Android N, including the updated settings screen that handily shows you important information at a glance. Small improvements like this are very welcome if it makes a phone easier and faster to use. There are also new features like the ability to adjust display scaling and the return of the dark/night mode, although I didn't really need to use these things on my Nexus 6P. 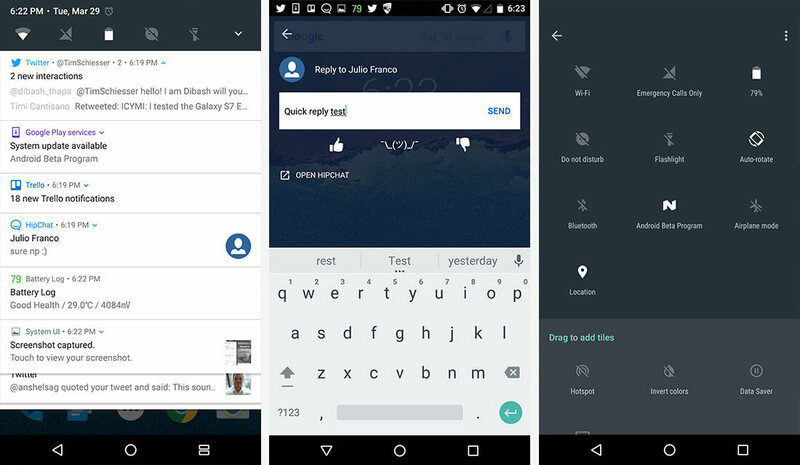 In general I was very impressed with the new features Google has implemented in Android N, and with some polish this will become a great update for Nexus owners. How fast the OS is deployed to other devices, and how many features will remain intact, isn't clear, though it will still be several months until Android N is ready for the general public.